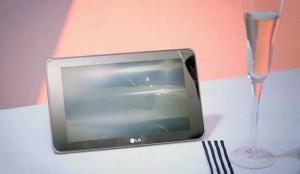 You are here: Home > LG-Slate Making Cameo In Korean Music Video? LG-Slate Making Cameo In Korean Music Video? 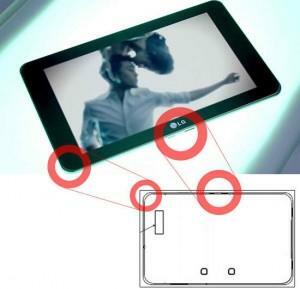 Are the first in the wild shots of the LG G-Slate coming from all places, a Korean music video? Other than a quick look at the T-Mobile CES press event, we really have no idea what the final look of the G-Slate will be, up until now. Accordingly, the pictures we see in this post coincide with the possible leaked specs that earlier in the week via LG France. The video ain’t half bad either. Notice the 3D possibilities? 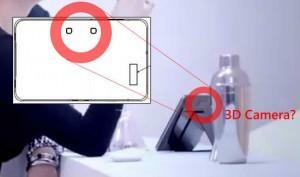 We aren’t crazy…there is likely to be some 3D action going on with this tablet! does anyone know the size of the Slate? lol! that was really clever. I never would have thought someone would make such a reference like that based on what I said. That was so witty of you and original. Damn I was hoping for a more stylish look and not just another iPad knock. Oh well. Weird 3D mix in the video. Looked like some anaglyph and line interleaved frames mixed in. That would take an interesting display panel or glasses to support multiple 3D formats. The specs are lining up nicely. A quick thought though: I held my hands in the air to mimic recording a video with a tablet of that size and I couldn’t help but laughing at myself as I panned around the room. It seemed as if I would be holding a professional movie camera on a steady rig. I can’t wait to get that type of camera hardware in a pocketable smartphone. I hope LG uses quality camera lenses and not the standard cheapo plastic smartphone lenses. We need large glass sensors with great low light performance and a xenon flash. I wonder….can it take 3D pictures or if it is just 3d video? I would love to take 3d photos and be able to tilt the device and see “around” in space and area. Maybe I am asking too much too soon. We all can dream can’t we?…..
cannot wait, really really want one. Mute. Ah there that’s better. Am I the only one that saw LG Optimus 2X @ 2:36?? 2:35-2:36 the girl is holding it in her hand!! wow i never noticed this whenever i watched the video haha!!! Seungri!